When it comes to large scale storage capacity requirements with distributed cloud and on-premise capability, object storage is all the rage. Amazon Web Services started the object-based S3 storage service more than a decade ago, and the romance with object storage started. Today, there are hundreds of object-based storage vendors out there, touting features after features of invincibility. But after researching and reading through many design and architecture papers, I found that many object-based storage technology vendors began to sound the same. At the back of my mind, object storage is not easy when it comes to most applications integration. Yes, there is a new breed of cloud-based applications with RESTful CRUD API operations to access object storage, but most applications still rely on file systems to access storage for capacity, performance and protection. These CRUD and CRUD-like APIs are the common semantics of interfacing object storage platforms. But many, many real-world applications do not have the object semantics to interface with storage. They are mostly designed to interface and interact with file systems, and secretly, I believe many application developers and users want a file system interface to storage. 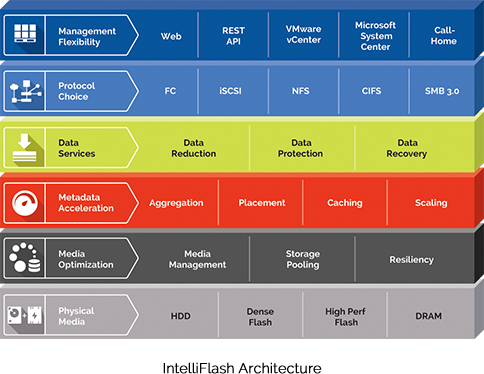 It does not matter if the storage is on-premise or in the cloud. Let’s not kid ourselves. We are most natural when we work with files and folders. Implementing object storage also denies us the ability to optimally utilize Flash and solid state storage on-premise when the compute is in the cloud. Similarly, when the compute is on-premise and the flash-based object storage is in the cloud, you get a mismatch of performance and availability requirements as well. In the end, there has to be a compromise. Another “feature” of object storage is its poor ability to handle transactional data. Most of the object storage do not allow modification of data once the object has been created. Putting a NAS front (aka a NAS gateway) does not take away the fact that it is still object-based storage at the very core of the infrastructure, regardless if it is on-premise or in the cloud. Resiliency, latency and scalability are the greatest challenges when we want to build a true globally distributed storage or data services platform. 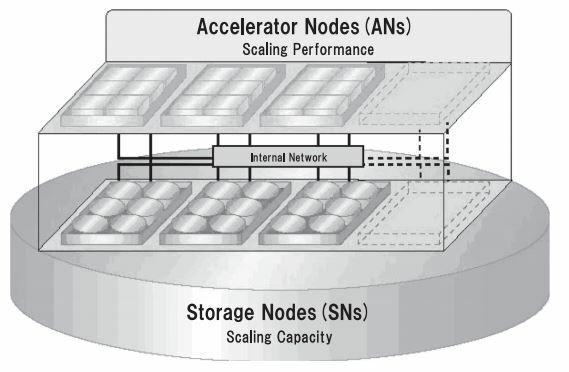 Object storage can be resilient and it can scale, but it has to compromise performance and latency to be so. And managing object storage will not be as natural as to managing a file system with folders and files. And we couldn’t be more wrong because we shouldn’t be using the CIFS word anymore. It is so 90’s man! And the tell-tale signs have already been there but most of us chose to ignore it with gusto. 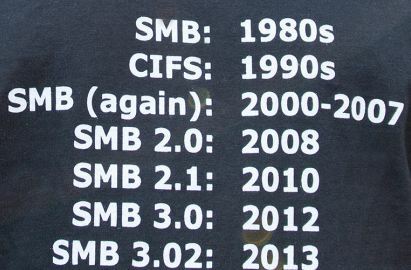 But a recent SNIA Webinar titled “SMB 3.0 – New opportunities for Windows Environment” aims to dispel our incompetence and change our CIFS-venture to the correct word – SMB (Server Message Block).